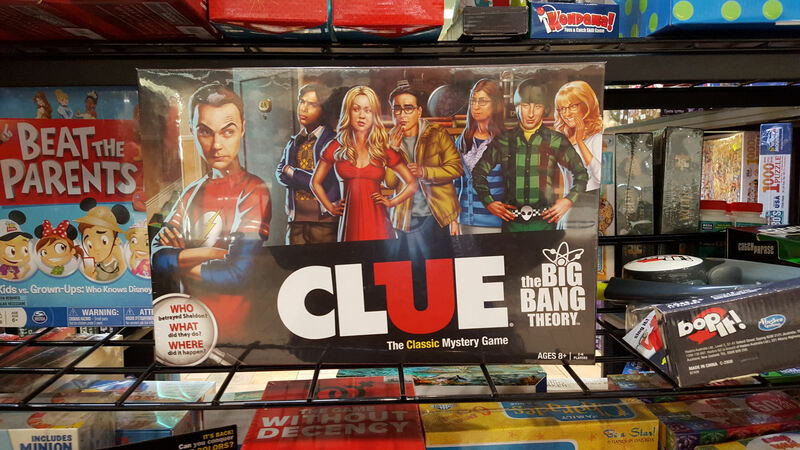 Geek Shopping Now Easier Than Ever (for some) « Midlife Crisis Crossover! 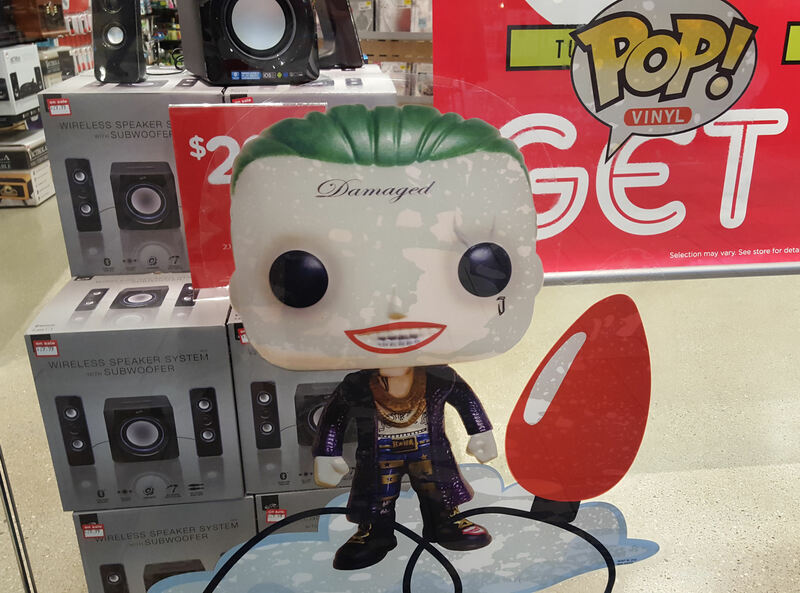 Funko Pop presents Chibi-head Academy Award Winner Jared Leto, all yours…for a price. It’s not this time of year without too much shopping! Or so I hear frequently from the media, TV ads, all surrounding retail shops, our local newspaper, the voices in my head that like buying new stuff for loved ones and myself, sometimes in that order. The true Black Friday experience — getting up ridiculously early the day after Thanksgiving and not one day earlier to compete for the privilege of loss-leader pricing on either understocked new merchandise or obsolete shelf-filler — lost my commitment when corporations decided a Friday should be fourteen days long. The increasingly charmless holiday event notwithstanding, I usually have free time to spare that particular day regardless, so it’s still a good opportunity to leave my family behind for a few hours without guilt and go take care of my share of the Christmas season. This year I spent much of my morning at Indianapolis’ own Castleton Square Mall, where I usually don’t have a lot to do since women’s clothing and designer shoe shops aren’t my thing. This year, more than ever, quite a few stores were aiming specifically for my geek dollars with the kind of merchandise we normally see only at our annual comic and entertainment conventions. Suddenly “geek chic” is a thing and proprietors hope the masses will buy in. 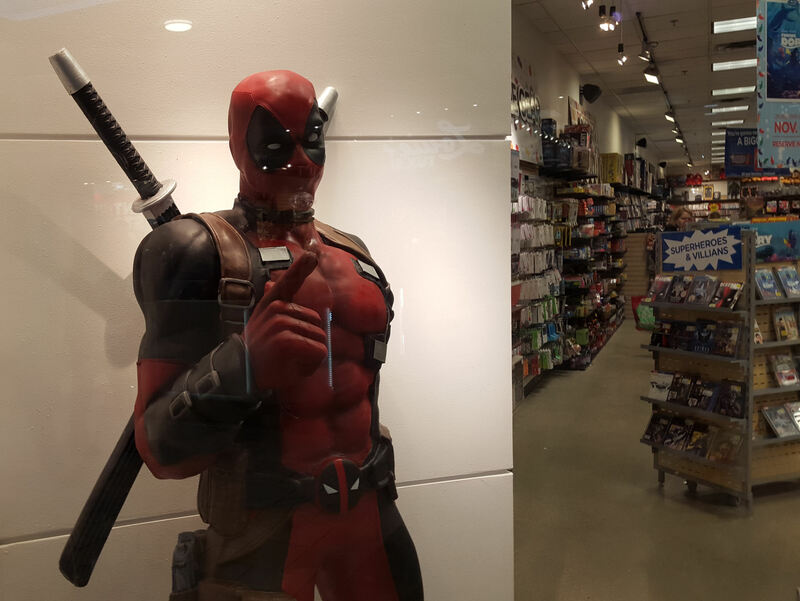 A life-size Deadpool statue welcomes you to f.y.e.! Imagine the fun if they’d hired a live cosplayer instead. When I was a kid, if you wanted merchandise from comics or obscure movies — not toys, but knickknacks, posters, glasses, etc. 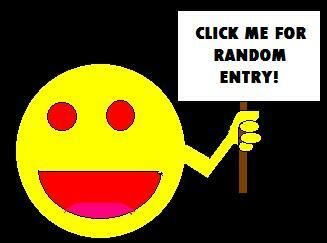 — your only remote possibility Spencer Gifts, the granddaddy of pop-culture gewgaw shops. Even then, you had no guarantees of finding merch with the faces of characters you specifically liked. I might’ve loved Spencer more if I were a KISS fan, because their selection was the most extensive in town. Nearly twenty years later, Hot Topic got into the shopping mall game and became the easiest pop-culture access point for one and all with their black T-shirts, themed jewelry, minimalist CD section, and complete assortment of every Jack Skellington product ever manufactured. If they’d existed sooner, I would’ve blown so many allowances there. As an adult…well, their CD section still beats Walmart’s. Presented for that large segment of fans who dig this sort of thing, which absotively posilutely does not include me. Today at Castleton Square, Spencer and Hot Topic weren’t alone. The annoyingly non-capitalized f.y.e., largely a music store for those of us who still buy CDs, indulged in a much larger geek-merch space than I recall from my last visit. Among other TV/cartoon/movie displays, they had the largest arrangement of stuff based on the Five Nights at Freddy’s games that I’ve ever seen. That’s a world entirely beyond my purview, but I presume someone’s buying all that by the pound. I settled for a few items from their modest Japanese candy shelves (stocking stuffers for my son) and left the rest behind. In another era, perhaps I would’ve been more spellbound. f.y.e. has been around for years, but this year there’s a new challenger in the brick-‘n’-mortar biz: online retailer ThinkGeek has been rolling out physical outlets nationwide, and opened two locations here in central Indiana in early November. If you’ve never been to a convention, you might be bedazzled by the wall of Funko Pops, the T-shirts much brighter than Hot Topic’s, the action figures you won’t see at Toys R Us or your educational kiddie boutiques, the Doctor Who miscellanea, the Harry Potter accessories, and the other gift ideas from from the worlds of Pokemon, Minecraft, Marvel, DC, and more more more more. (This includes an even bigger Five Nights at Freddy’s department than f.y.e.’s. I just don’t get it.). If you’re a fan of free admission to what’s basically a super-sized dealer’s booth without need for con badges, so much the better. Of course ThinkGeek has statues! 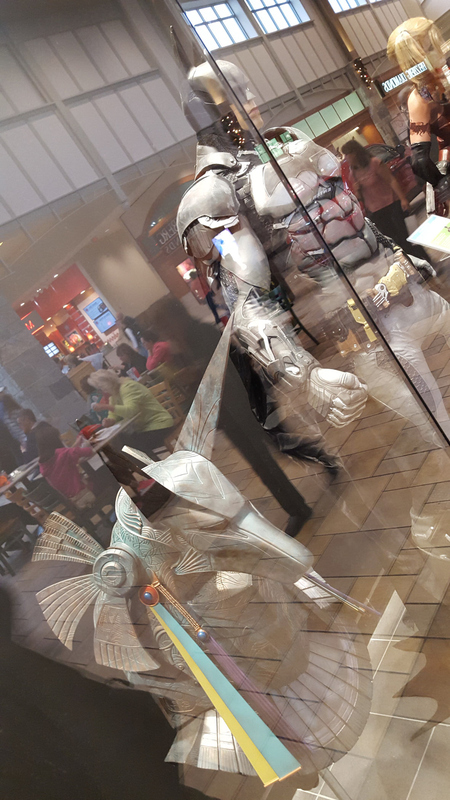 Batman and Anubis from Roland Emmerich’s Stargate stand guard across from the food court. Full disclosures: (1) A relative of mine works at their Greenwood Park Mall location on the polar opposite end of Indy, but refuses to give me any discounts or unsold rejects. He USED to be cool. (2) Their Bag of Holding (Con-Survival Edition) has been an indispensable accessory for me at our last several cons. 12/10 would buy again if mine were ever stolen, set afire, or turned into a monster and had to be slain. For anyone who wants to redecorate their house with the faces and vehicles of all their favorite otherdimensional idols, assuming you live close to a city as least as populated as Indy, your home furnishing Renaissance has arrived at last. As for my wife and me, the wave has arrived too late for us to catch head-on. While we’re still hitting and enjoying the convention scene, indiscriminate shopping isn’t among our primary motives on the show floor, even when it’s our ostensible interests being targeted. We’re still into the reading and the watching and the contemplating and the live-tweeting and the sharing of thoughts on the internets for all the world to see if anyone cares too look, but we don’t need our entire house tricked up like Guillermo del Toro’s extravagant museum-office. We’re at a place in our walk that requires a certain aesthetic balance between our fictional universes and the the universe where we have to live and work. Also, I’m severely finicky about what T-shirts I buy. It’s become an odd point of pride for me, one that’s hard to explain. None of these stores had anything that spoke to me in my size. Nice try, though. 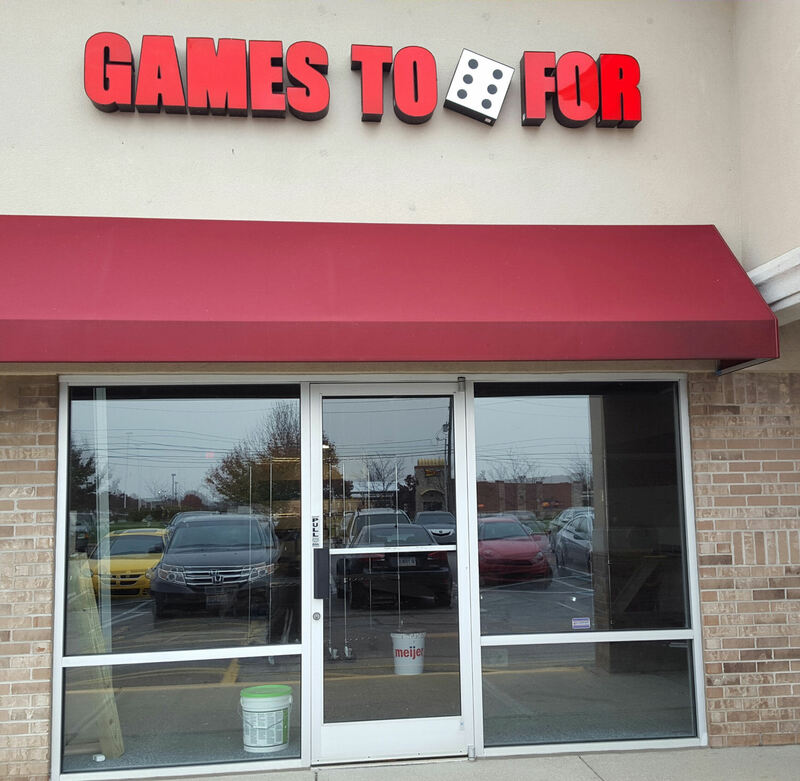 Later in the day I returned to our side of town and decided to pay a visit to a gaming store five minutes from our house, wedged into a strip mall alongside an optometrist and a taco joint. We’re not heavily into the tabletop scene, but my son’s in town from college, we hadn’t bought a new board game in years, and we thought it might be nice to pick up something new for this weekend’s family quality time, something challenging on the level we’d see and demo whenever we used to attend Gen Con out of curiosity. Despite the seeming surge of “geek chic” online and up on the relatively upscale north side of town, at some point recently this tiny shop had apparently gone out of business, or at least been unable to stay afloat at this spot. After some deeper digging just now, I learned the owner shut down this location in September 2015 and moved his wares to smaller, cheaper digs a few miles well away from the busier commercial area. I have no idea how well the geek havens at Castleton Square are doing, but those geek dollars aren’t trickling down equally in every corner of town. Maybe they’d be enjoying a space three times the size today if only they’d invested heavily in Five Nights at Freddy’s futures.